It is a familiar non-fried food non steam manufacturing method straight noodle with stick ramen. ●With the discerning black pig pork bone broth using the pork bones of the black pig from Kagoshima, I match a bit big stick noodles of the Kagoshima ramen style well. 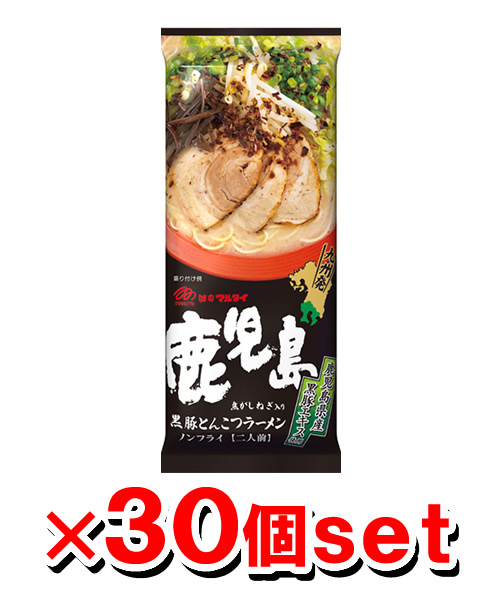 ●I attach "the parched flour leek" which is one of the characteristics of the Kagoshima ramen separately.